Bruno Labbadia has announced he will not be renewing his contract at Wolfsburg and will leave the Bundesliga club at the end of the season. 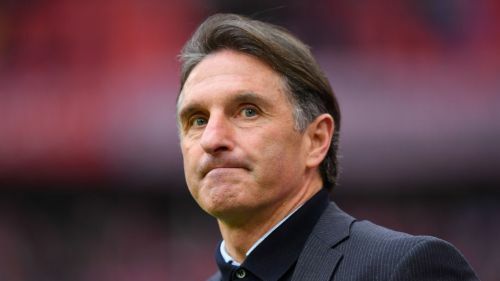 Labbadia took charge of Wolfsburg in February 2018, replacing Martin Schmidt, and steered the club to Bundesliga safety. Wolfsburg have been in fine form under Labbadia this term, sitting seventh in the table, although their European qualification hopes were dented by Saturday's 6-0 thrashing at Bayern Munich. Labbadia, though, has opted not to renew his deal and will leave Wolfsburg along with staff members Eddy Sozer, Olaf Janssen and Gunter Kern. "I would like to thank the club, but above all the team for the fantastic and intense months that have gone by," Labbadia said in a statement. "I have been thinking about the future in the past few weeks and have now come to the conclusion that I am no longer available to Wolfsburg from the summer. "We in the coaching team wanted to personally communicate the decision of the entire team, so we decided to do that before the international break. Now we are focusing on bringing the season to a successful end at full speed." Wolfsburg managing director Jorg Schmadtke added: "The timing of the decision of Bruno Labbadia surprised us, as we would like to have had the open-ended discussion planned by both sides with him. It's a shame that it does not happen now, but we respect his decision."